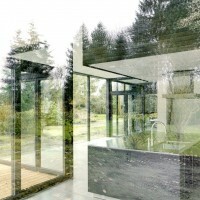 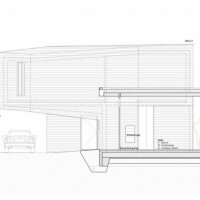 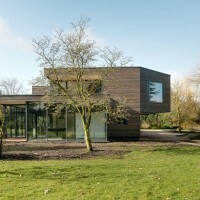 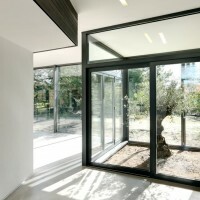 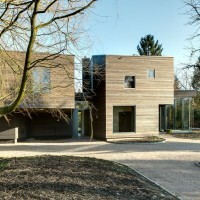 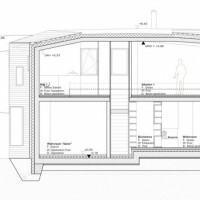 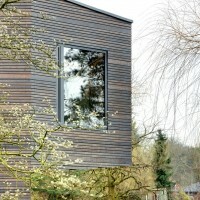 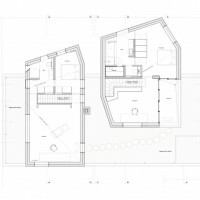 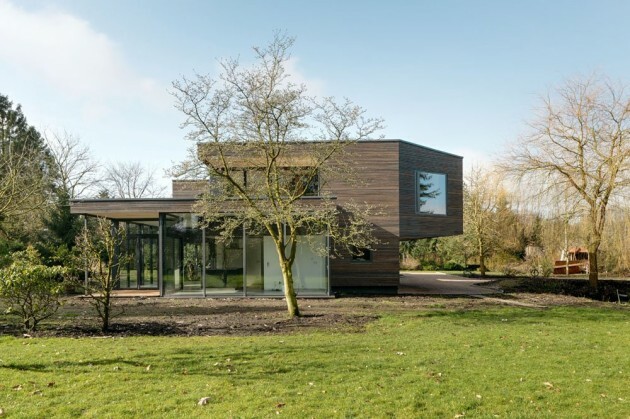 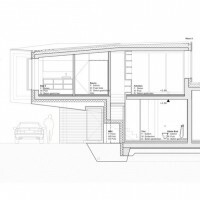 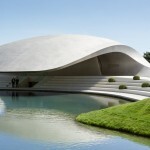 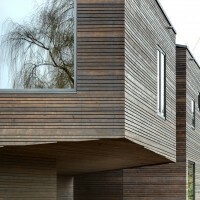 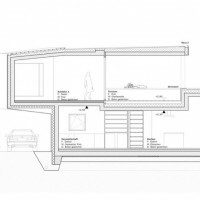 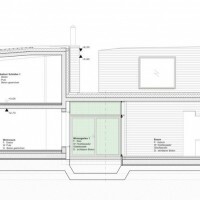 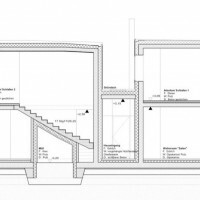 Architects Sören Hanft and Jens Casper designed the HHGO Garden Residence in Oldenburg, Germany. 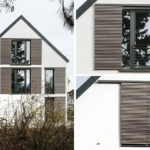 The detached house is located within a large garden plot with mature trees in Oldenburg. 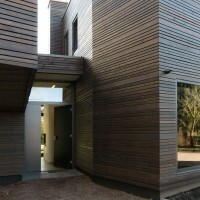 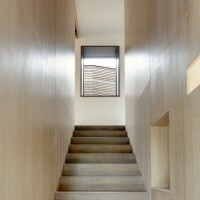 The house is clad with a wood façade. 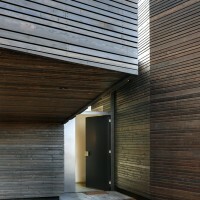 The horizontal slats of different widths are based in their arrangement on the Fibonacci series of numbers. 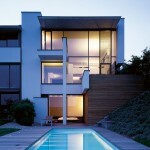 This creates an anomaly that affects both harmoniously. 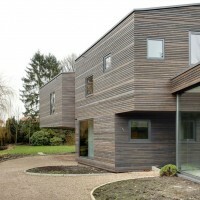 The silvery-brown to dark gray-colored glazed larch wood, the structure can be visually blend with the natural surroundings of the garden and takes the same color of the weathering of the wood in advance. 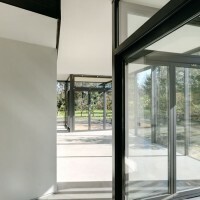 While the facade of the exterior into the interior continues to draw the boundaries between inside and outside are broken up visually. 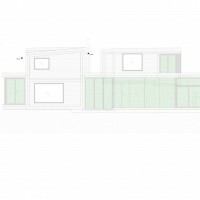 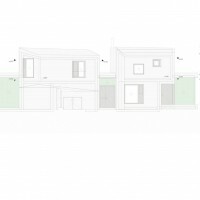 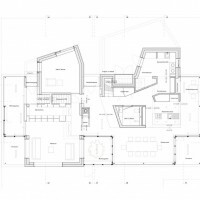 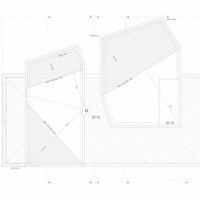 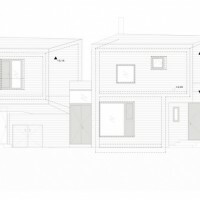 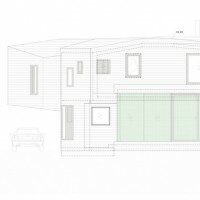 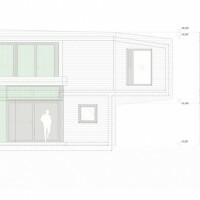 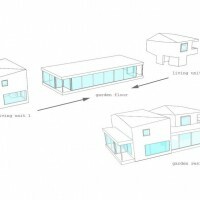 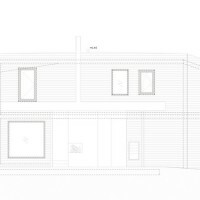 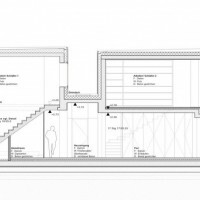 The house is divided into three units, which are sensitive in their regional planning (optimal) are adapted to the lifestyle and the (future) needs of residents.